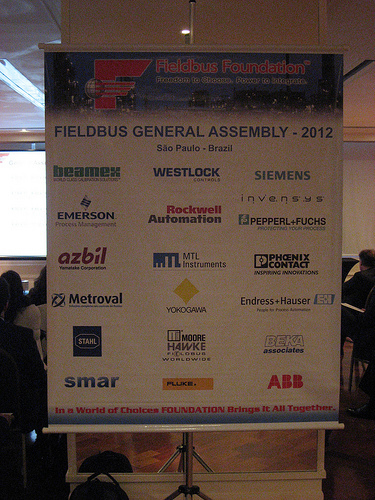 Many of us here at the Fieldbus Foundation, myself included, are just getting caught up after a very busy week at our General Assembly in São Paulo, Brazil last week (March 5-8). The main event at the annual general assembly is of course the end user seminar, which was held Wednesday March 7 at the Sheraton World Trade Center hotel and attracted around 240 attendees. 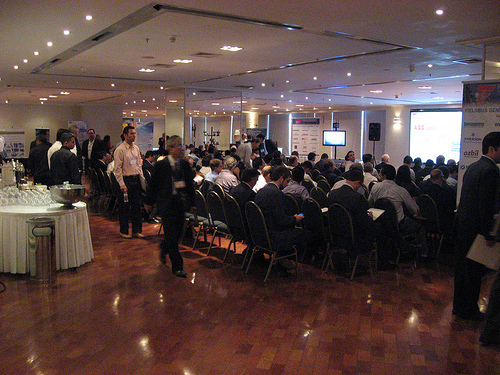 It was a great crowd, most of it local to Brazil with lots of end users from companies like Petrobras, Braskem, Deten Quimica, Shell, and more. All of our major supplier partners were represented as well, and we attracted 20 sponsor companies that had their tested and registered FOUNDATION fieldbus solutions on display. Fieldbus Foundation President and CEO Richard Timoney and Chairman of the Board Dr. Gunther Kegel each gave brief addresses, both of which highlighted the importance of FOUNDATION fieldbus in rapidly developing economies such as Brazil. There is no question that Brazil will remain one our most important markets in the foreseeable future. We were very fortunate to have Petrobras Director of Automation Mr. Ronaldo Magalhaes as our keynote speaker, who shared many of his positive experiences and lessons learned from the huge investment that Petrobras has made in FOUNDATION fieldbus. Petrobras has announced some of the most ambitious capital spending plans of any major global oil company, with an expected $224 billion in capital spending to develop an estimated 5 billion barrels of reserves through 2015. Most of this money will be spent in the upstream sector. FOUNDATION fieldbus is going to be a big part of the Petrobras automation strategy moving forward. Alexandre Pereira Lopes from Braskem shared his company’s experiences with FOUNDATION fieldbus. Most of the intelligent field devices that Braskem has deployed are FOUNDATION fieldbus devices, and Alexandre had some good ideas about how to get the most out of the diagnostic data that is provided, as well as some application specific examples. Alexandre Santana of Deten Quimica talked about their extensive use of HSE and control in the field. 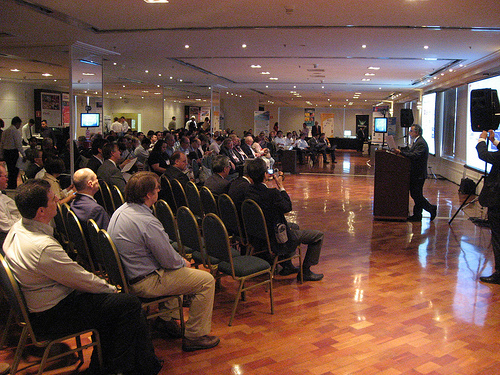 Clelio Alves of Petrobras discussed the implementation of a FOUNDATION fieldbus project from an engineering perspective. Marcos Peluso of Emerson Process Management discussed ongoing research into the performance benefits of control in the field being done by UK-based independent consulting firm ISC. Miguel Borges of Petrobras discussed efforts to found another Fieldbus Certified Training Partner location in Brazil through the LEAD training center. English versions of some of these presentations will be forthcoming (some are in Portuguese only, see links below). We also had the opportunity to bring our FOUNDATION for ROM demonstration unit to Brazil. I did my presentation on the business value of the technology and Dave Glanzer, our director of technology, did an excellent job describing the FOUNDATION for ROM specification and the details surrounding our demo unit. For an explanation of the demo unit you can see this video shot in conjunction with Peter Welander of Control Engineering. Petrobras has volunteered to provide an end user demonstration site for our FOUNDATION for ROM field demo program, which will take place over the next 18 months at various end user sites around the world. Other end user participants include Reliance refining in India and Saudi Aramco, and two other major end users. Our End User Advisory Council meeting was held on Tuesday March 6. EUAC chairman John Rezabek of Ashland Chemical as usual did an excellent job leading this meeting and we came up with several new ideas on how we can work on improving the end user experience with FOUNDATION fieldbus. We will be announcing more about these plans as we form working groups and develop a roadmap. One of the great strengths of the Fieldbus Foundation is its large degree of end user involvement, and we managed to recruit some new members to the council in our visit to Brazil. Fore more information on joining the EUAC, please send me an email. The General Assembly was also host to our annual business meeting and board of directors meetings, which had excellent attendance. We also wish to extend a big thank you to our Brazilian Marketing Committee, which helped tremendously in organizing this event. 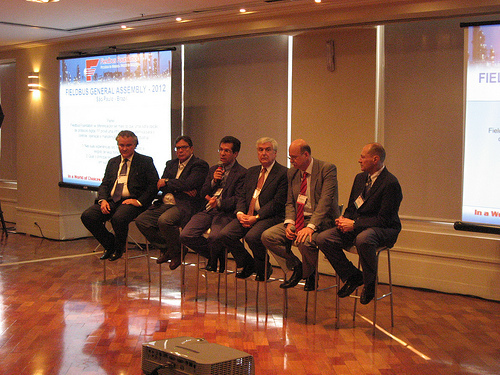 We look forward to hosting the event in Brazil again! We also wish to thank our sponsors — including ABB, Beamex, Beka, Belden, Emerson Process Management, Endress+Hauser, Fluke, Ivnensys, Metroval, MooreHawke, MTL Cooper, Pepperl+Fuchs, Phoenix Contact, R Stahl, Rockwell Automation, Siemens, Smar, Westlock, Yamatake, and Yokogawa.